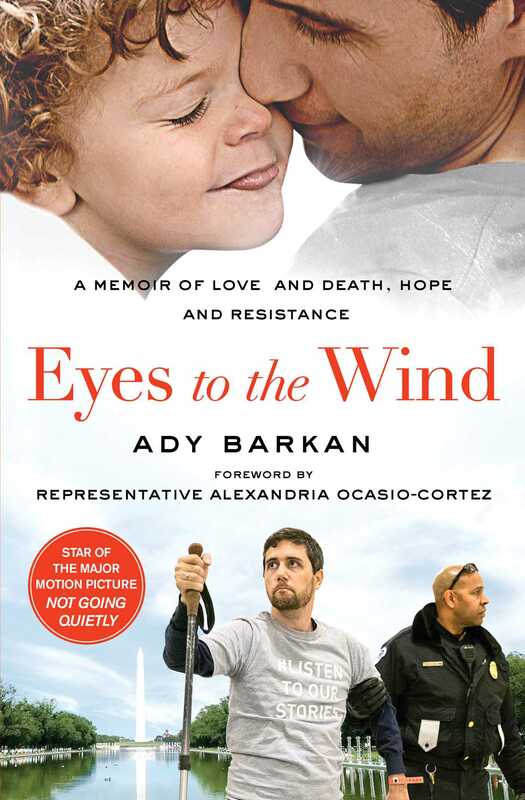 In this inspirational and moving memoir—reminiscent of When Breath Becomes Air and The Bright Hour—activist Ady Barkan explores his life with ALS and how his diagnosis gave him a profound new understanding of his commitment to social justice for all. Ady Barkan loved taking afternoon runs on the California coast and holding his newborn son, Carl. But one day, he noticed a troubling weakness in his hand. At first, he brushed it off as carpal tunnel syndrome, but after a week of neurological exams and two MRIs, he learned the cause of the problem: amyotrophic lateral sclerosis, better known as ALS or Lou Gehrig’s disease. At age 32, Ady was given just three to four years to live. Yet despite the devastating diagnosis, he refused to let his remaining days go to waste. Eyes to the Wind is a rousing memoir featuring intertwining storylines about determination, perseverance, and how to live a life filled with purpose and intention. The first traces Ady’s battle with ALS: how he turned the initial shock and panic from his diagnosis into a renewed commitment to social justice—not despite his disability but because of it. The second, told in flashbacks, illustrates Ady’s journey from a goofy political nerd to a prominent figure in the enduring fight for equity and justice who is “willing to give [his] last breath to save our democracy” (CNN). From one of today’s most vocal advocates for social justice, Eyes to the Wind is an evocative and unforgettable memoir about activism, dedication, love, and hope. Ady Barkan is a social justice activist who has built three programs at The Center for Popular Democracy: the Be A Hero and Fed Up campaigns and the Local Progress network. He was a law clerk to the Hon. Shira A. Scheindlin in the Southern District of New York and prior to that he was a Liman Fellow with Make the Road New York, where he represented low-wage workers seeking to recover unpaid wages and obtain safe and dignified working conditions. He graduated from Yale Law School and Columbia College. He lives with his wife Rachael and their young son Carl in Santa Barbara, California. Eyes to the Wind is his first book.